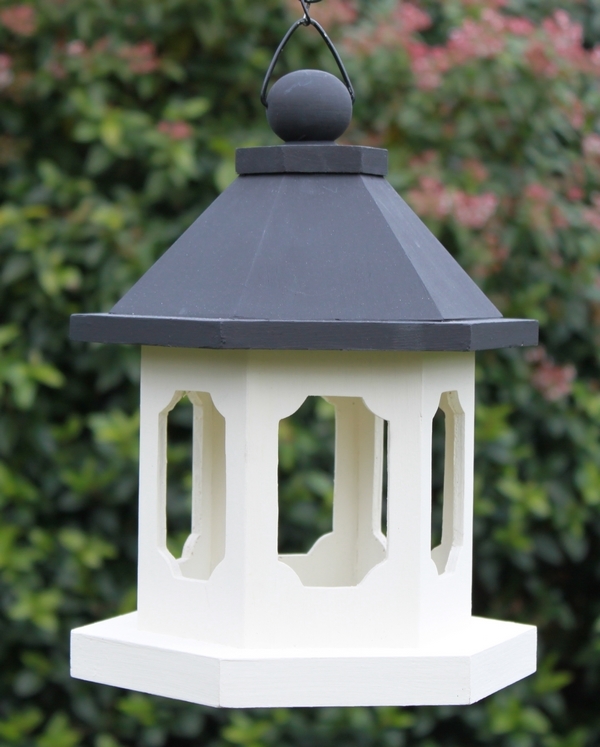 Our large range of Bird Tables and Feeders have been designed by us, specifically for the giftware market. All products are individually and attractively boxed. All packaging is bar coded for retailers who use this facility. A factsheet on feeding garden birds is available to all stockists. 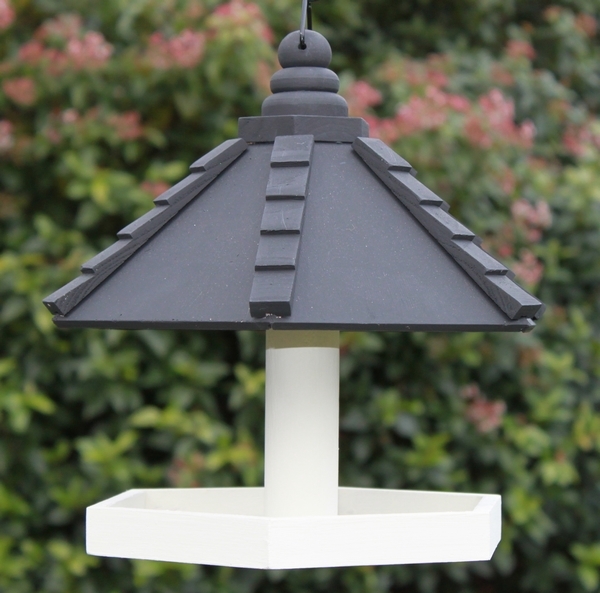 A cream bodied hanging bird table with a black roof, creating an ideal place for perching birds to feed. A hexagonal shaped hanging bird table. Finished with a cream body and a black roof, ideal for all areas in the garden. This is a superbly designed and easy to use/refill bird feeder. 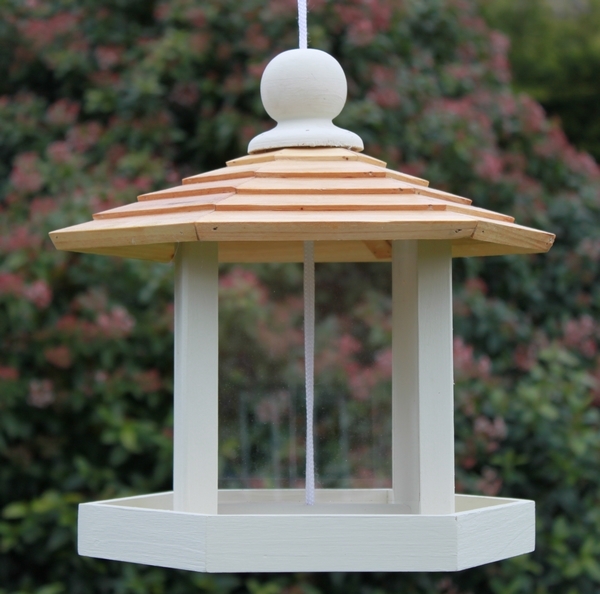 The feeder comes with a cream body and a natural wooden finished slatted roof. This stylish and innovative multi-layer bird table is perfect for anyone wishing to attract a wide variety of birds into their garden. The 2 separate layers can take different foods. Superbly designed and easy to use/refill bird feeder. 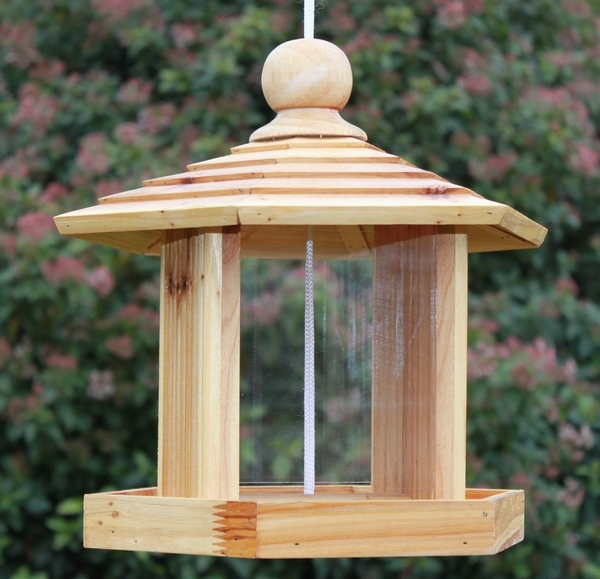 The feeder comes with a Natural wooden body and slatted roof. 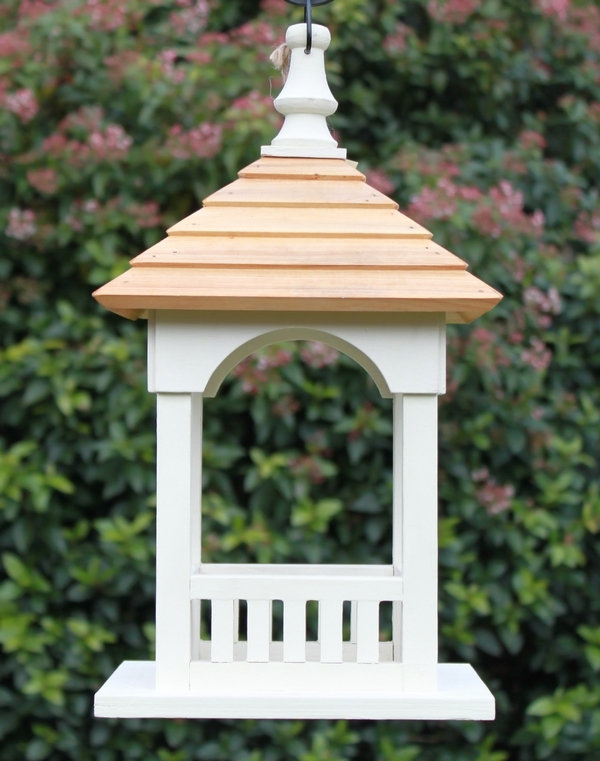 This hanging cream bodied bird table is finished with a natural wooden slatted roof.